What are the best Museums in Rome? It is difficult to have a complete overview of them because Rome offers many tourist attractions. If you want to visit Rome in two days, you have to choose what you are much interested in and you need to focus on it. Here you will find a guide to some of the most beautiful museums in Rome and in the whole of Italy. You will lose yourself into history, architecture, photography, sculpture, and painting. At the end of this virtual tour, the creative power of man will enchant you and you will feel your heart full of emotion. 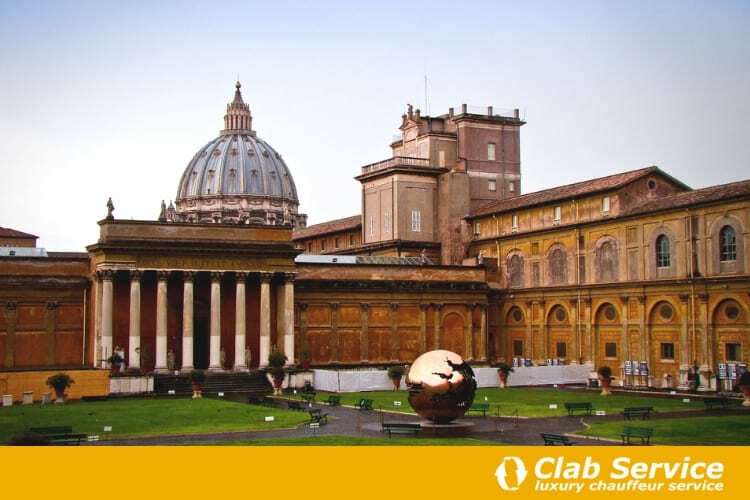 Vatican Museum is one of the most wonderful museums in Rome, and it will bring you to discover the Pope’s treasures. That is not all. While there, you will have a real trip to Roman History. You will admire the important masterpieces of Egyptian and Etruscan Arts, Medieval and early Christian Arts. Are you asking what the main points of interest of the Vatican Museum Rome are? 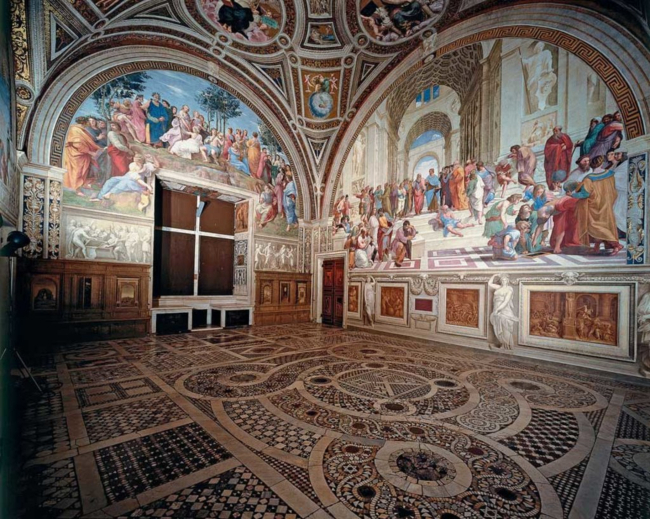 They are the frescoes of the Signature rooms, painted by the Italian artist Raphael. These spaces were the apartments where Pope Julius II lived, and they were painted at the beginning of the 16th century, with moral and philosophical themes. Another gem not to be missed: the famous Sistine Chapel. You will wander through the rooms feeling the presence of the Italian painters Michelangelo, Caravaggio and Tiziano when you enter the art galleries dedicated to them, walking along a path through modern works and Greek-Roman statues. You may observe even ancient documents that come from every corner of the globe and were kept in the Vatican Museums. Vatican Museum is one of the principal museums of Rome and is well worth a visit. For opening hours, Vatican Museum tickets and reservations, please visit the website www.museivaticani.va. Capitoline Museum is one of the most important museums in Rome and one of the most ancient one (1471). Do you know that it is the first public museum of the world since 1734? Actually, in this way the art opens at all levels of society. Do you want to learn more about it? The Capitoline museums are located in an exceptional place: two wonderful buildings of Rome that are the historic Palazzo dei Conservatori on the Capitol and the Palazzo Nuovo. From there, you may also enjoy a wonderful view over the Roman Forum. What to see in the Capitoline museum? The collection of Greek and Roman sculptures including The Capitoline Wolf, a bronze sculpture representing a she-wolf suckling Romulus and Remus, the mythical twins who founded Rome. You may admire the Capitoline Venus and the Bust of Medusa by Bernini, too. This gem is definitely on the list of the best Rome Museums. If you want to organize your trip to Rome and visiting this fascinating place, take a look at its website museicapitolini.org. Macro is one of the leading museums of Rome dedicated to contemporary art. It is in a singular place, the 19th century Peroni former Brewery and the ancient slaughterhouse of Rome. What to see in the Museum of contemporary art? There are over 1200 artworks created from 1960 to the present day. The creative works of some important artists as Carla Accardi, Marc Quinn, Mimmo Rotella, and Giosetta Fioroni will keep you spellbound. If you want more information browse www.museomacro.it. 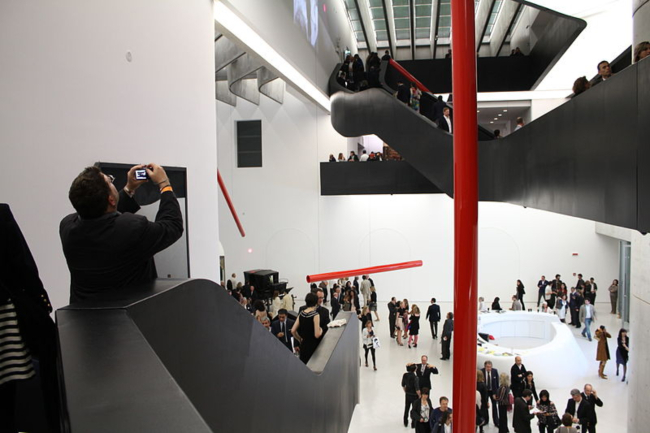 MAXXI is the home of contemporary creativity and an ever-expanding cultural center, and it is set in the Flaminio district of Rome. Here you can find masterpieces of contemporary art, photography, and architecture that seem spontaneously to meet you halfway in the fluid spaces created by Zaha Hadid together with interactive installations, staircases that seem suspended, glass and iron structures. If you love Alighiero Boetti and Ed Ruscha you can’t miss this museum. It is one of the most important museums in Rome and a milestone for those who are passionate about every form of contemporary art. This is another jewel of the town, among the best museums in Rome: the Borghese Gallery houses one of the most abundant paintings and sculptures’ collections of all the world. The history of the place is rooted in Cardinal Scipione Borghese’s passion for beauty (1557-1633) who was a great admirer of the Italian artists Bernini and Caravaggio. These artists are the pride of Italy. Their masterpieces of eternal beauty take up actually wide spaces of this museum. I’m talking, among the others, about the Abduction of Proserpine, Apollo and Daphne, the Boy with a basket of fruit and the Virgin Mary of Palafrenieri. Do you want to buy tickets for one of the best museums in Rome? Surf the website gebart.it. Even if it is among the principal Museums of Rome, this museum is often overlooked. It is a collection of historic buildings where you can loook at important pieces of art. This experience is a dip in the Roman art and architecture with the Aula Ottogna in the Thermal Baths of Diocletian and the majestic courtyard of Palazzo Altemps. You may stop at the Criminologist Museum too, to enjoy a hint of suspense after so much magnificence. Take a look to the website for more info. It is one of the art galleries to mark among the best things to see in Rome. In its elegant rooms, you will admire the art collection of the noble Doria Pamphilj’s family. This place will leave you breathless. 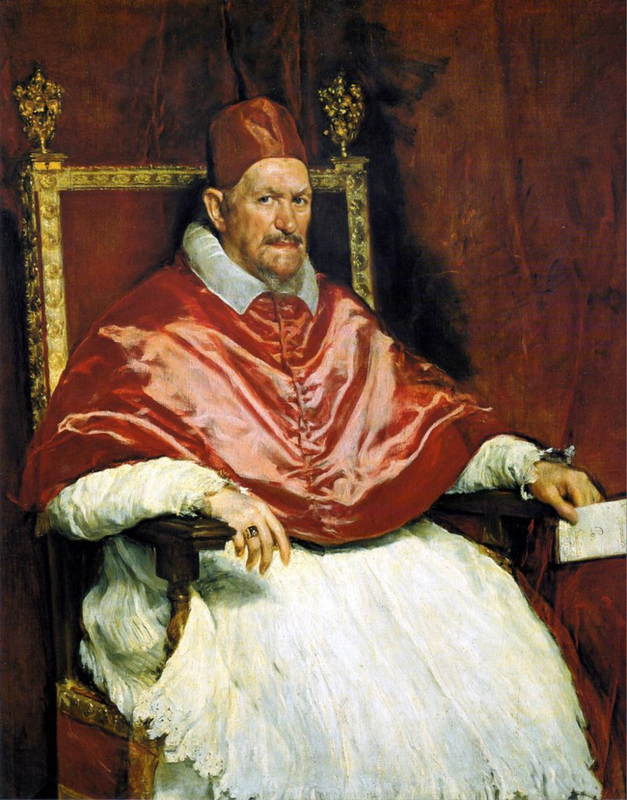 Among the most important works there, the portrait of Pope Innocent X signed by Velázquez. Without forgetting the extraordinary creations of Caravaggio, Tiziano, Raphael, Bernini, and Bruegel. The GNAM was founded in 1883 but it opened only at the end of the 20th century. This Museum is located in Viale delle Belle Arti. What will you find inside? 55 rooms with 4400 paintings and 13000 prints. In other words, you will become the witness of the biggest collection of XIX century Italian contemporary art. The Nation Gallery of Rome exhibits authors who made history: works of art by the genius of Courbet, Van Gogh, the Italian artist Fattori and the American Pollock. If you browse the website lagallerianazionale.com you will find everything you need to know to buy the tickets. In this article, I brought you to explore the main Museums in Rome to discover ancient and modern art. Do you want to get to these wonderful places in a comfortable way and without hurry? You can book our car service with private driver and ask for your chauffeur in Rome. You will be surrounded by the luxury and you will have no worries so that Rome will become a daydream. Do you know other important museums in Rome worthy to be seen? Tell me something about them in the comments below. Book your luxury vehicle and plan your private excursion in Rome. Freelance copywriter. A true passion for journalism, online communication and Social media, I specialize in Seo Copywriting in Italian and English language. Curious about life, I spend hours observing its facets, trying to explain its rules.